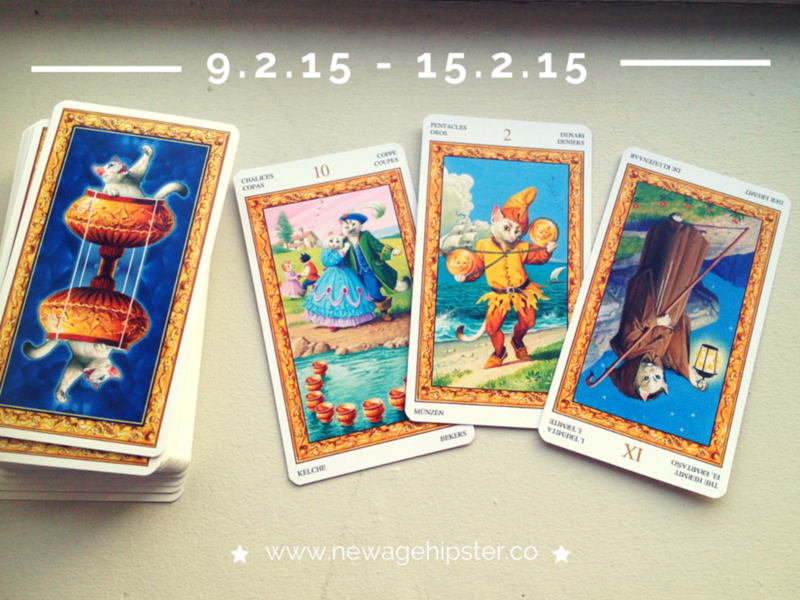 I've used the most gorgeous Tarot of White Cats for the weekly reading this week. I do love this deck so much, every time I pull it out I'm like - OMG this deck is amazing! Check out my video reviewof it if you like it too! Also, my poor kitty Zorro has been unwell and so I really wanted to put some good kitty vibes out into the Universe this week. This is about counting your blessings really. If you've got someone to love or someone who loves you (even if it's just your cat) then you are damn lucky, and don't you be forgetting it. Focus your intention this week on staying in gratitude and really enjoying the little moments. You know, snuggling up on the couch with the one you love, patting your cat, hugging your kids, calling a friend or even just liking someone's post on Facebook; these are the times when you are in the love zone so notice it, be thankful for it, and really mean it. Got a lot on right now? Are you having a bit of a melt down because you have like zero life-work balance? I'm not suggesting you start bludging at work, but you may find you need to work really hard to remember your blessings these couple of days. When you are feeling stressed, think of kittens. Put things into perspective. Will the world end if you don't get through your to-do list? Carve out a little extra time mid-week for your life, even if it getting slightly less done on work stuff. First of all, can I just point out that the cat in this card is wearing sandals. Hang on, this is the card for Valentine's Day?! Well, I hope you have a great day and all, but I'm going to go ahead and say that this weekend you need to find something new to learn about. You know, after your date or night alone watching Rom Coms or whatever. While the Hermit can also represent alone time, reconnecting with spirit etc., this weekend it's about learning. You've learned a lot, you know a lot, you've done a lot. But don't stop for God's sake! Keep truckin'! You can apply to Universities, or online courses (OMG this course looks so sweet! 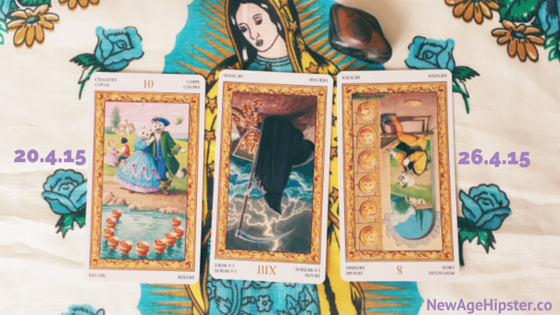 ), sign up for some free webinars, finally finish reading that book you've had half finished for waaaaay too long (for me that's Advanced Tarot Secrets!). Or buy a new book (Holistic Tarot?! - yes please!!). You won't learn that much from watching the Comedy Channel all weekend, except maybe like all the words to every Friends episode ever made. Don't forget to check out my Valentine's Day readings on Etsy. They are super cheaper than my other readings but will be gone soon so get in quick if you want to get a cheap-o!